Anyone who is in the midst of training for a marathon or who has trained for a marathon before knows that it's almost a second "job". A job that I love, but a job, nevertheless. Marathon training requires a significant amount of time commitment. And with that, comes a significant amount of miles put onto your shoes. The past couple of weeks of my marathon training has had me logging in over 40 miles per week. That's quite a bit of mileage for my legs and feet and I don't want to just do that in any old shoe. With this kind of mileage, I only want to put my feet into shoes that I know will treat my body well. Shoes are only one component to training, but they are quite an important piece to the training puzzle. I am beside myself with happiness that I was selected to try out the new Saucony Virratas. I've been running in them consistently for the past couple of weeks and have just over 90 miles logged in them already. They've quickly become my go-to shoe. Our town uses a mix of sand and salt on the roads in winter weather, which leads to dirty runs when it's not snowing. Its quite common for me to come home with dirt splattered up and down my legs, especially when I run with Pepper. 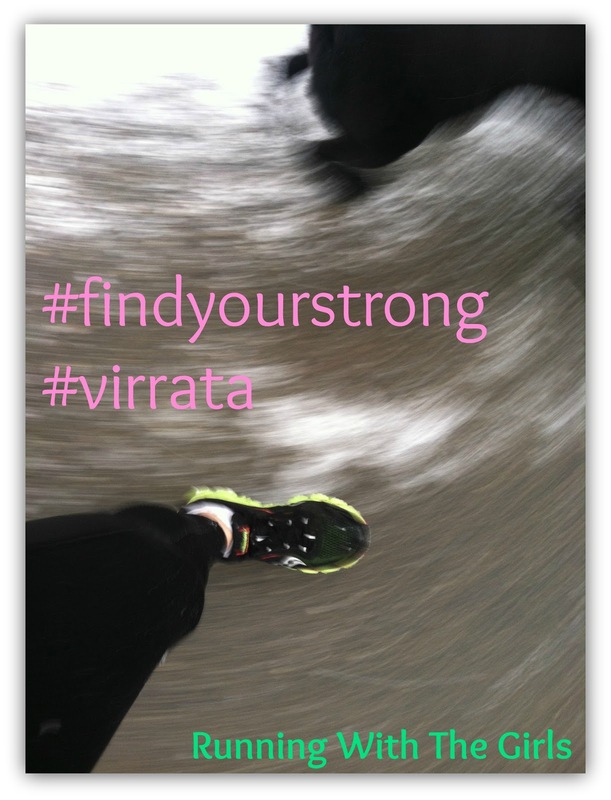 The day my Virratas came was a day where I was definitely going to get dirty on my run. Part of me didn't want to get them dirty, the other part of me knew if I waited for a day where I wasn't going to get them filthy, I'd be waiting forever. Or at least until May. Knowing I couldn't wait that long, I laced up my Virratas and took off. I was impressed with my Virratas from the start. They were super cushy and my feet felt fantastic during and after the run. I didn't have any weird rubbing in my trouble spots. I do need to mention that I received the men's Virratas because I've come to realize that I need wide shoes to accommodate my wide feet and bunions. But even when wearing men's shoes, I've experienced rubbing. That did not happen wearing my Virratas. 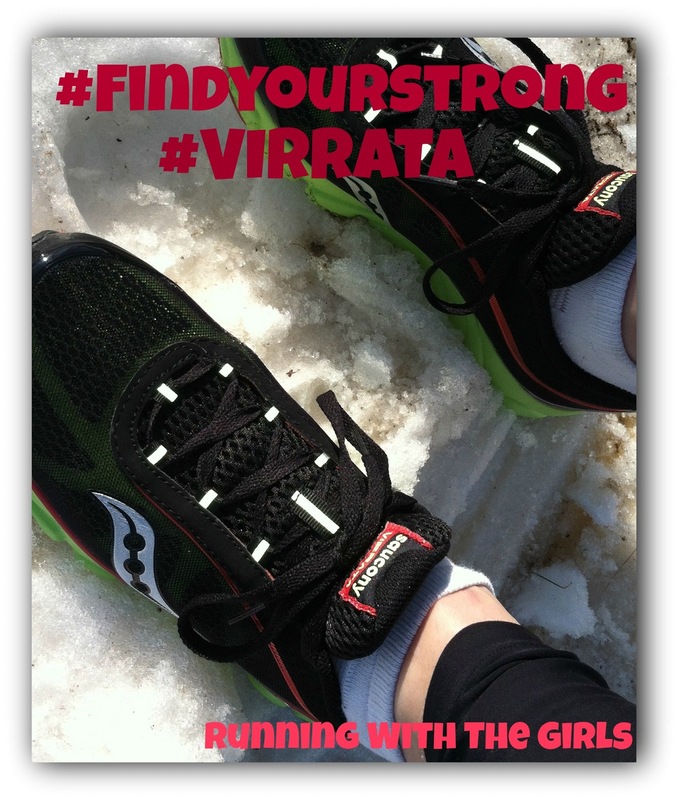 - great performance on the road, mud, slush, snow, and treadmill - making it an all around awesome shoe! A word of caution with zero drop shoes. If you are not already running in zero drop shoes, I urge you to take the necessary steps to ease into a zero drop shoe. I've been running in zero drop shoes for a couple of years now and I switch back and forth between zero drop, 4mm, and 8 mm shoes, so my calves are acclimated now. I wouldn't want you to injure yourself by going full force in zero drop shoes. 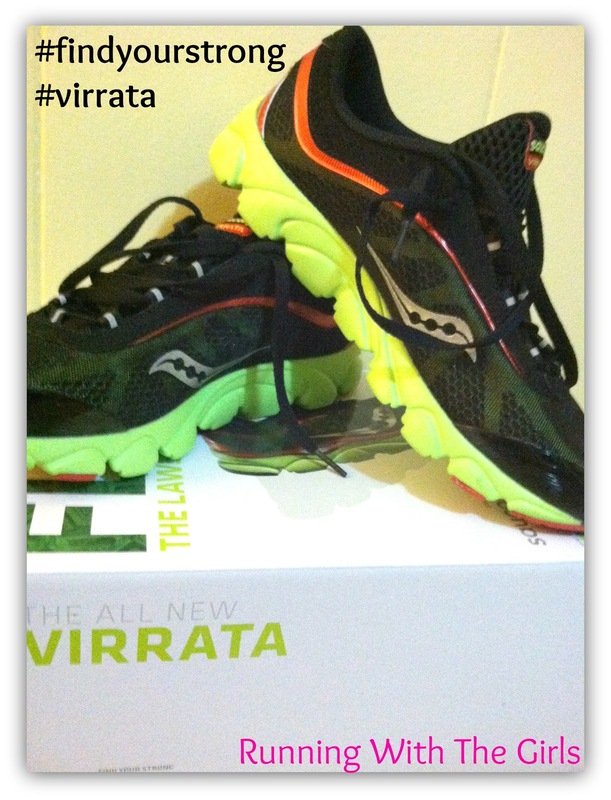 Disclaimer: Saucony sent me the Virrata shoes in part of the Fitfluential Ambassador Program. All opinions expressed here are 100% my own. Sounds like a good match for you! I have wide feet too, may be I should start looking at men's shoes. Nice dirty run! ;) I can't wait for mine to come tomorrow! I won't be getting them dirty though.. I'm too girly for that... HAHAHA! I got mine as a first pair of zero drop shoes and absolutely love them. I alternate between the virrata and brooks pure cadence. works very well for me in my transition. I want to try these so bad for in the gym training! I've heard so much about them! Nice review, Jen. I haven't tried a zero drop shoe before. Nice review! After seeing all the positive reviews I'm itching to try the Virrata! Wow, you got so many miles in them already! I just got a pair that I'm excited to try, too. Love the combo of zero drop but still cushioned. now to convince the bank account I must.try. I have only run in mine once but I love them so far! Still trying to get used to the zero drop but love the way they feel! I've heard so much about these shoes the past few days, and would like to get me a pair but I'm concerned about zero drop because i'm having some arch problems. Still, something to think about in the future. I've never tried zero drop shoes. They kind of scare me, since I usually go with a stability shoe. Great review! I haven't tried zero drop shoes but have been hearing great things about these Sauconys. I admit, that more minimalist shoes scare me but I also am really curious and wondering if I wouldn't benefit from switching over at some point. You've been using your shoes a lot! So jealous you got to try these, I would love to try them! 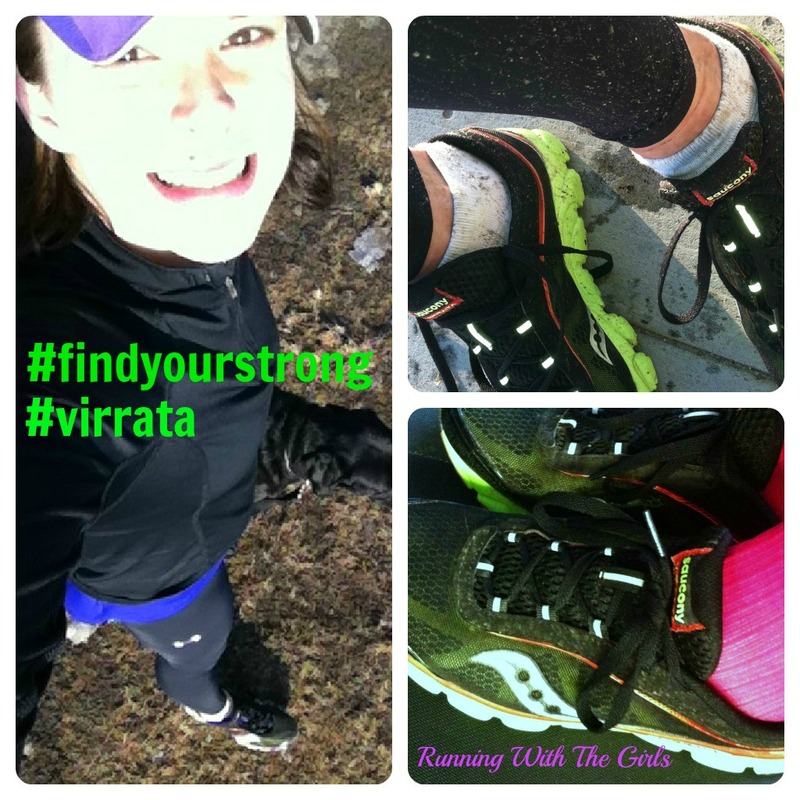 Glad you've really enjoyed the Saucony Virratas! They certainly sound like a perfect fit for you. Great review, this post makes me want to get out and run!! !